Have you ever really WANTED a green smoothie? I mean….really wanted one?? 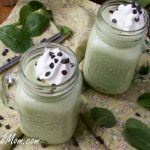 It’s certainly a great way to get in more greens and those of us as mothers with kids who don’t like to eat greens, a smoothie is more appealing for a child than anything! My children do love sauteed spinach and my Kale Chips, but many times when I get my kids to eat other greens it’s in disguise! 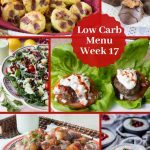 Like in my Mini Zucchini Cheese Bites or Chocolate Zucchini Bread. This time I decided to go- for -the- green and see how they’d react. So not as good as I had hoped. One out of three drank it. I honestly believe the green color turned them off and to be honest with you, it is kind of weird drinking a green smoothie, but the taste is fabulous! 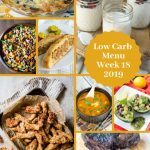 Now if you’ve been following my blog for a while now you know I only post the very best recipes the family loves, but this time I am posting it………. 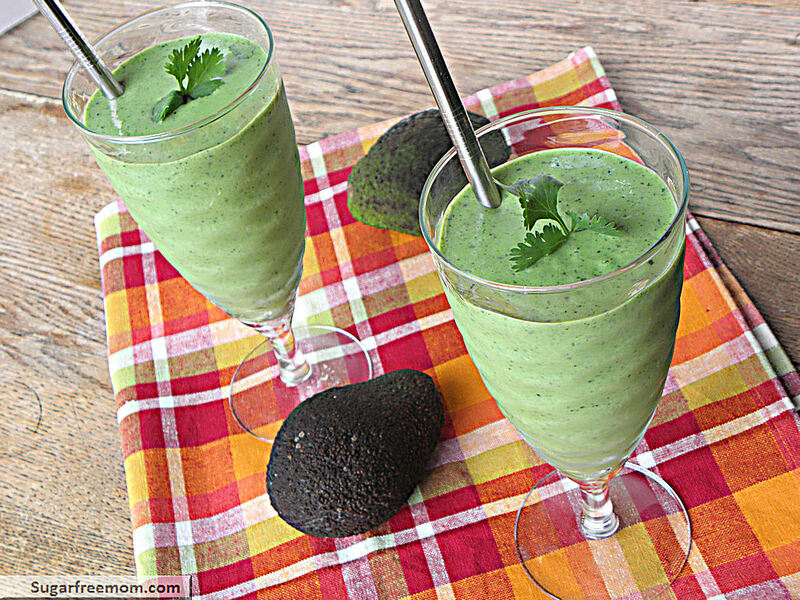 Plain and simple this green smoothie has got it all! 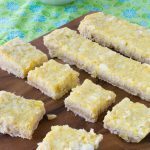 Protein, creaminess and super filling too! 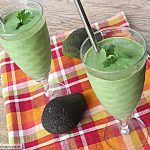 The avocado idea came when I saw many WIAW bloggers over on the Peas and Crayons linky party sharing how delicious an avocado makes a smoothie. And I have used avocado in my Chocolate Pudding (which is dairy free) and Chocolate Pudding Popsicles as well. 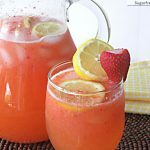 Both are incredible so I knew this would turn out delish and I was right! I also had a ton of kale in my fridge gifted to me by a friend at church and I hate to let things go to waste so……. green smoothie was created. 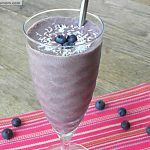 I somewhat followed my Blueberry Protein Smoothie recipe and adapted from there. **Not sure about using egg whites? Check this post for reasons why they are perfectly safe. *If using this in the Three Day Cleanse & Detox, remove the Greek Yogurt. Combine all ingredients in a high powered blender and blend until smooth. Adjust sweetener if needed. *You could certainly change the kale and sub spinach instead. I just made it for breakfast and I used a frozen banana! It is delicious! Great idea Terra! Use a frozen banana and you can eliminate the ice! Glad u liked it! 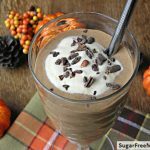 I always use frozen bananas in my smoothies and it works great! Chop them up, put in a snack size baggie and spread the pieces out a bit and freeze! Great for when your bananas are getting too ripe before they can get eaten! This is a smoothie I could drink as breakfast, a snack or even dessert. Thanks for sharing it looks delicious. I will have to try the avocado. I make mine usually with spinach, banana and blueberries and if I have it a bit of frozen pineapple. SO yum. You can’t even taste the spinach at all and I put two cups of it in there. I am going to try this with avocado and add some blueberries. 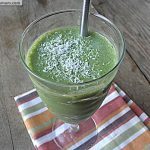 I have been making green smoothies with just kale or spinach, sometimes cucumber added, then 2 kinds of fruit–1 usually froaen, a little flax meal, pasteurized egg whites & water. Yummy! 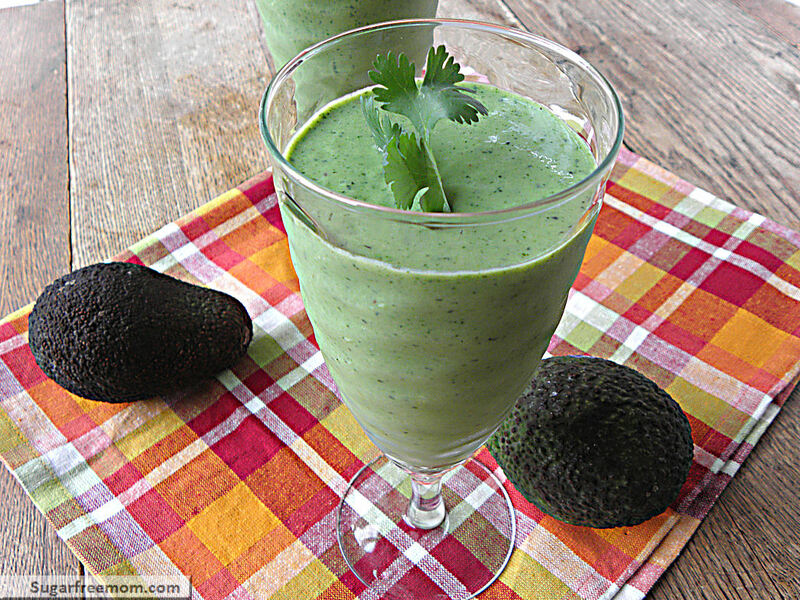 I tried avocado the other night and it made it very creamy….loved it! Add a little mint and tell tell it is a mint smoothie. Haha!! I think it looks good. This sounds wonderful! I’m going to make this with an additional scoop of unflavored whey protein and see how that tastes. Thanks for the inspiration! I like green smoothies, but I’m not sure about the egg whites, pasteurized or not. You can’t taste them at all I promise you! Filled with protein and super smooth and creamy! I LOVE green smoothies! People think I am crazy for packing as much kale as I can fit into a blender every morning but WOW are they good… I have converted some, namely my own son 🙂 check out some more smoothie ideas on my blog! I just made a pumpkin kale smoothie early this week … delicous!! So I forgot to buy the avocado and improvised by adding a tbsp of chia seeds, tbsp coconut oil, and tbsp protein fiber hemp powder. I assumed the avocado was for the fiber & healthy fats 🙂 it was delish!! A little tropical tasting!! Is it didn’t want to use liquid Stevia and use Truvia packets… how many do you think I should use? I was thinking 2 packets? I don’t use truvia so I’m unfamiliar with how sweet it is. Really your preference, just taste it with one packet and decide if you need more. I love this smoothie. It is my favorite green smoothie. 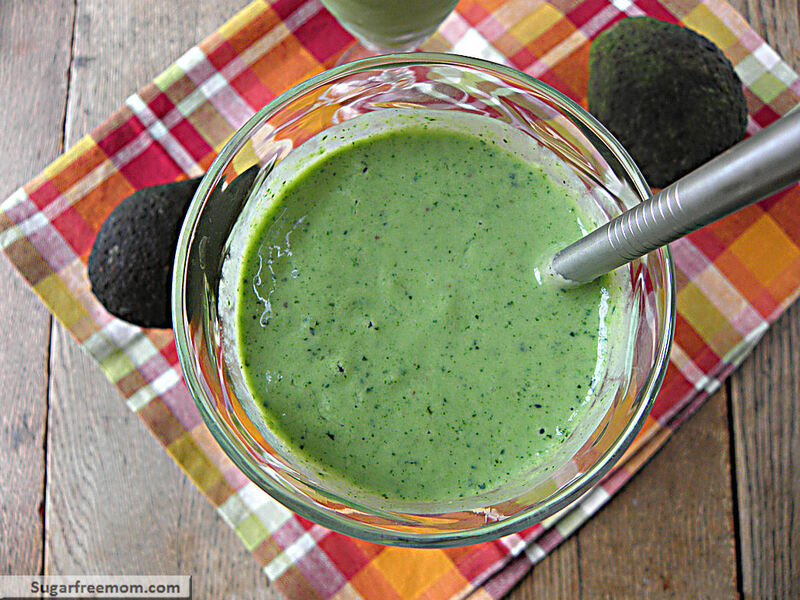 I’m dairy free so I do it without the yogurt, but I love how smooth the avocado makes it! I used 2 stevia packets instead of liquid cause I was out of liquid. Very yummy! I have all the ingredients but the stevia. Can I use Agave syrup? I like the idea of chia seeds too. Can’t wait to try this out after the kids get home from school today. Thanks! You could use agave to taste. Do you have to use the egg? We are going to a plant based diet and this sounds good but if I leave the egg out will it affect the smoothie much? No you could leave it out. I don’t have access to farm pastured eggs or I would use them too. I use the whites only because I can buy a big carton of them and t=since they are pasteurized they are safe to enjoy raw. 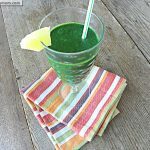 Nice green smoothie recipes. I have a green smoothie with avocado and spinach every morning. The fat in the avocado is the best kind of fat – makes you feel full and helps your body absorb the fat-soluble vitamins. I like to freeze fresh greens, mainly I use spinach, but also adding some cilantro helps to detox from heavy metals. The frozen greens blend better, and it’s a good way to keep them from going bad. Edwina, pastured eggs are eggs from healthy chickens that are raised naturally, outside, eating plants and bugs and with plenty of sunshine and exercise. You basically need to either raise your own or know someone in your area who raises them so you know that the eggs are absolutely fresh and the birds are healthy. When you buy eggs in the store, even organic, you don’t know how old they are, how they are handled and how healthy the chickens are. My mom lives in Wyoming and gets fresh eggs from her neighbor. I am never afraid to make smoothies with those when I visit! 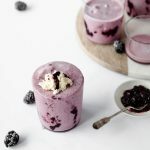 Hi there – I’m starting your three day detox tomorrow and am going to make this smoothie without the yogurt per your note. However, I’m currently on a calorie-counting plan, so do you by any chance know what the adjusted calorie /nutrient amounts are without the greek yogurt being added? Thanks! No I don’t have that info, just input the ingredients into my fitness pal or another calorie counter. This looks soooo Tasty! Definitely will be trying this in the near future! You do not find many gluten free recipes these days! Thanks for sharing.